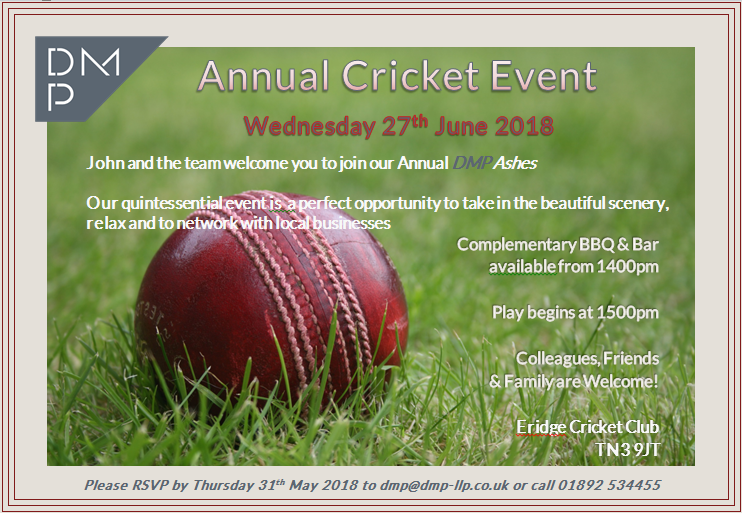 Calling out to all our valued Clients, Contractors and wider partners we are inviting you to attend our Annual DMP Cricket event on Wednesday 27th June 2018. Our quintessential event is a perfect opportunity to take in the beautiful scenery, relax and to network with local businesses. Enjoy the delicious complimentary BBQ and bar. If you are able to attend and fancy a friendly game of Cricket, click here. Join in the fun and be part of the DMP team.